Luca Cuccolini, in the button business for almost 50 years, will install an automated warehouse for boxes in its Illescas warehouse (Toledo, Spain) where it will manage 2,640 boxes weighing 25 kg each. Automation, run by Easy WMS of Mecalux, will allow the company to streamline picking and raise productivity. The new automated warehouse for boxes will comprise a 27.5 m long aisle in which it will install single-depth, 7.2 m high racks that feature 24 storage levels. 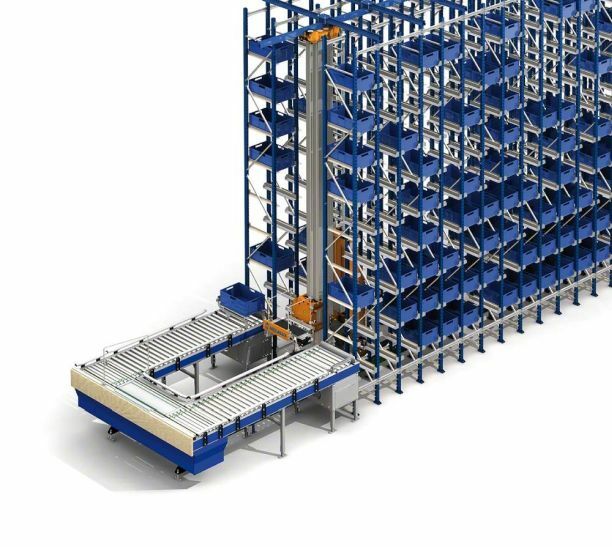 A miniload stacker crane for boxes will run along the aisle, able to carry out 78 combined cycles per hour. At the front of the warehouse, a picking station will be set up to collect the boxes meant for the automated warehouse off conveyors that will speed up inputs and outputs. The Easy WMS will manage all operations, which feature: inputs, outputs, locations, inventory counts and stock control, tracking and tracing goods, statistical reports and inquiries, etc. Founded in 1969, Luca Cuccolini is a well-known button maker that also produces accessories and appliques for clothing, i.e. patches, brooches, belts, etc. Luca Cuccolini exports its all-natural, eco-friendly, chemical-free products to five continents, and is an international measuring stick in the world of fashion ready sewing notions, complements and supplies.